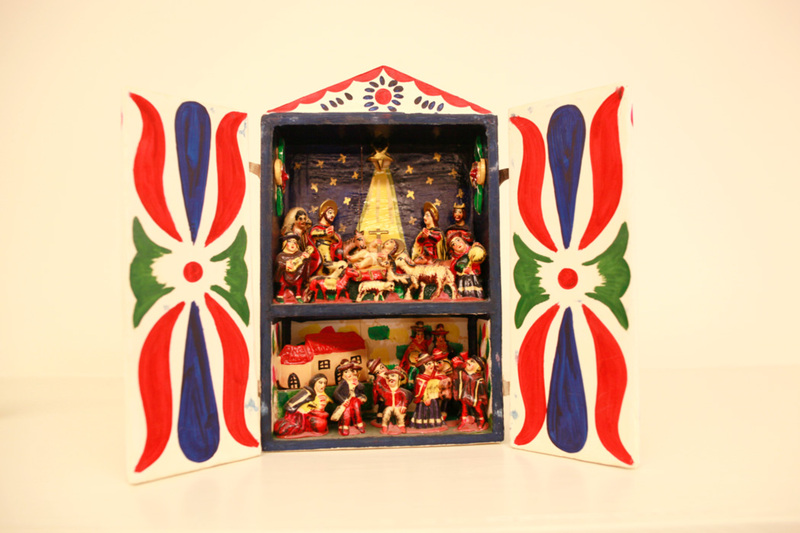 The exhibit features 80 crèches from the Koupals’ collection, including this “Retablo Nativity” from Peru. The tabletop cabinet features a Nativity scene on the upper level and a village scene below. The “Szopka Nativity” from Poland exemplifies the Szopka Christmas tradition in Kraków, in which the artist uses a historical building as the backdrop for the Nativity. Nativity scenes have been a Christmas tradition for centuries, dating back to a living nativity staged by St. Francis of Assisi in 1223. 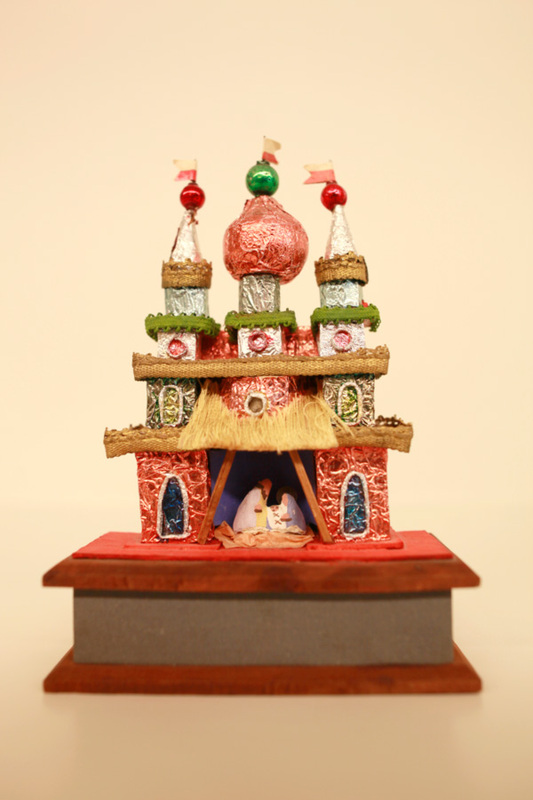 The National Museum of Toys and Miniatures (T/m) is ringing in this holiday season with a special display of Christmas crèches from the Bud and Jan Koupal Collection. Bud, a World War II veteran and retired Kansas City-based architect, has been volunteering at T/m since its inception in 1982, giving him the record as the longest-serving volunteer. He has always loved miniatures — a trait that his late wife, Jan, shared. “What brought Bud and Jan Koupal together was their mutual interest in art, particularly miniature art,” said Laura Taylor, the museum’s curator of interpretation. The Koupals’ love of crèches was born in 1962, when they visited a nativity exhibit at The Nelson-Atkins Museum of Art featuring renowned artist Alexander Girard. They soon began assembling their own collection of crèches. Eighty of the Koupals’ crèches, some less than half an inch tall, will be on display at T/m. A few of the Koupals’ crèches come from Germany and Italy. But much of their collection reflects their great love of folk art from Peru, Guatemala and Mexico. Bud Koupal will show off his collection and talk about the history of holiday crèches on Dec. 10 from 2 to 3 p.m. Cider and cookies will be served after the discussion. Museum patrons can also explore the collection Dec. 16 and 23 from 1 to 3 p.m.